Things Beginners Should Know About Photography Delivers You a Wonderful Free Guide For DSLR Photography Which are Essentials For the Beginners. There are many points which you will either ignore or you will not be told in any Photography course. Self learning is the best learning process after gaining the minimum required knowledge in any field of arts. Photography is an art crafted through application of applied science. Optics, the part of physics is an integral part of SLR Photography, now with the advent of DSLR, the digital methods; that simply means knowing computer to an advanced level is very essential. That includes the knowledge of Color Space, calibration to using Adobe Photoshop rightly. It was, in fact previously not needed, but more unsophisticated and complicated method was essential to learn – chemical development in dark room. Be it my great grandfather or your grandfather, all had own dark room; who ever were interested about Photography to a serious level. At serious level, Photography was never a cheaper way to create art, it was costly and yes, still it is very costly. Honestly, if you can not afford the cost of upgrades, it is possibly better to stick to compact digital camera. By no means they are of inferior quality now and for creation of art, the camera possibly has less to do up to a level. A compact digital camera can take some what ‘Macro’ (the terminology, however optically is incorrect) at quarter price versus a pro grade DSLR with mere kit lens. For any hobby, it is important to judge for whom it is. I possibly can not ever bear the cost of collecting all models of vintage cars from a particular brand – I do not have the space in the first place. Things Beginners Should Know About Photography starts in this way to make you understand the fact – we are not going to push an eBook or a product from Amazon or eBay, that is basically what almost all blogs do. If you can dissect the paragraph written behind this sentence, probably three points from this things Beginners Should Know About Photography which we are obviously calculating. We do not want that your hard earned money goes in to a seller’s pocket. You can easily apply almost all the basics of these 100 Things Beginners Should Know About Photography on your compact digital camera, now they have quite advanced features. Oh, again a large paragraph ! Was not the beginning was enough ? No, it was not enough. This is an important paragraph because the last paragraph is basically a list with hyperlinks to other older articles, we have very little space to convey our message to you. To make beautiful photographs you must know by heart the means where to put your hands to get the results we want. All including we, tell you to watch the photographs of others. The ultimate thing happens is – people basically ‘copy the concept’. This is basically not what for we refer you to deviantArt or similar website. We want to make you understand the ‘strokes’ like in case of charcoal drawing. If ‘copy-paste’ the concept of others, you will fail to create something new yourself. You can hardly win few awards, in most cases the panel of Judges has less interest about the competition itself. But, in long term, its hard to say whether one among your possibly billion of photographs will stay in mass peoples mind. First thing you must know is, whether you need a DSLR or a Compact Digital Camera. There is a specific article on this topic as well. Second important thing to know is Image Sensor Format – APS-C, Full Frame etcetera are quite tough twisters. Third invariable becoming a derivative of the above knowledge – Crop Factor or Form Factor in Digital Photography. Getting exhausted ? There are more things like the CMOS and CCD technologies. You must have some idea about RAW Image Format and Digital Negative. You technically should have some idea about Reprography. Yes, your favorite topic – Megapixels. We are gradually going deeper – Depth of Field in Digital Photography. You must have some idea about ISO Film speed in Digital Photography because unfortunately there are issues with DSLR at higher ISO. When you are beginning, you must Focus in Photography. May be you have questions about Auto Focus in your mind. If you can not combine the idea of Focus and Depth of Field, you will get confused, and your camera has some Circle of Confusion as well. What is the Angle of View ? What is the thing distortion we say about ? We told you, advanced knowledge on computing is becoming essential today for digital photography. Let us take Image Processor and Image Processing Engine in consideration. Noise in Digital Photography is the biggest problem and only possibly higher and higher models can solve partially but can not get rid out of it. When we say to study photography from other works, we point towards Metering in Photography to some extent. How the Live Preview work in DSLR is important to understand because basically Live Preview is actually not required for DSLR camera, we are basically using DSLR in a non SLR way. Exposure is one of the important thing that all must know. Parameters related to Exposure are quite important. Exposure is so much important that we have over 20 articles on exposure itself. You have seen the letter F in italics in small letter – f2 or in fraction. What is this f number ? Many things automatically get related with the above things like Autobracketing and Automatic Exposure Bracketing (AEB), Long Exposure Photography, Exposure Compensation, Exposure Triangle etcetera. Obviously you have to know something about Diaphragm of Digital Camera, Diaphragm Blades like evergreen topics. 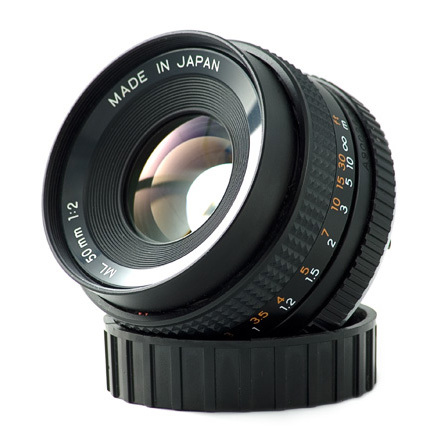 Viewfinder is itself a big chapter, there are types of viewfinder like Pentaprism Viewfinder. To make the thing cheap, the manufacturers uses Pentamirror. Which they claims are equivalent. Obviously that is not the fact. There are basic two types of Lens you will see. One has only one focal length – they are Prime Lens. The obvious counterpart is zoom lens which have a range. Quite unfortunately, the Lens has very complex anatomy. It is not really that Prime Lens and Zoom Lens are the two components of the classification. There are things like Asperical Lens or branded names like L Lens; Niche specific like Telephoto Lens, Macro Lens etcetera. We can not use a Lens manufactured by Brand A for Brand B. This is mostly for the Lens Mount. Clearly know the issue – Zooming and Reduction of Field of View. This is very complex topic though. Filters play an important role Photography. Flash Unit of Digital Camera sits on Hot Shoe. But why the name is ‘hot’ not ‘cold’ ? Next comes the topic – Color Balance. If you do not know how your Optical Viewfinder works, how the shutter works; then if your camera creates an issue, virtually you can get ripped off. Moderate knowledge makes Bokeh to consider a great feature. When its Bokeh, you came with the word fast lens. But, what is this Lens Speed ? We will shift to higher gear. If everything is getting out of your head, its possible better to settle down to Basics of Digital Photography. Remaining basic is Shutter Speed. Cleaning Digital Camera is itself a big topic. So as Holding a Camera. Specifically if you hold a DSLR in a wrong way, reading the above ~50 articles will have very less value. You must know how to do Post Processing in Adobe Photoshop. You need to know about the basics of EXIF data. In fact, in professional field, EXIF data is not shared and considered as intellectual property. Now come to Composition in Digital Photography. The above article must have link towards Rule of Thirds, still Rule of Thirds can be mentioned separately. There is a thing named Zone System. You must know to Calibrate Computer Display. There are actually niche of Photography. Like Portrait, Landscape. Each can have more sub division. Self Portrait is a distinct sub niche. Its better to know about the Commonly Done Mistakes in Digital Photography. The Modes of DSLR are important point to know. In the same way there are Flash Modes. Understand the AF Area Selection Modes. Take Photograph everyday, if possible; every hour and study your own work. We are ending here because it is named – Things Beginners Should Know About Photography. After mastering these, you can think of going to break the rules, use your own way and make itself a rule. You will write, we will read them after that level. Photography is such an art which demands good amount of creativity, money and knowledge. Over 65% new DSLR owners get bored and sell their DSLR in eBay. The basic reason is nothing but they think we are telling to watch others’ work means to ‘copy paste’ the method. They get frustrated when the copy-paste method reach the limit. More funny is that, to buy costly camera accessories, basically you have to earn a huge – you have to invest time behind earning money. Paradoxically it decreases your free time. These are practical parts you must calculate before seriously taking it as a hobby. This Article Has Been Shared 2205 Times! Cite this article as: Abhishek Ghosh, "Things Beginners Should Know About Photography," in The Customize Windows, June 29, 2013, April 24, 2019, https://thecustomizewindows.com/2013/06/things-beginners-should-know-about-photography/.